As the middle 1980's rolled around, Commodore had learned some hard lessons about making promises they couldn't keep (CP/M compatibility in the Commodore 64), and about producing machines that weren't compatible or even comparable with the machines they were purported to be upgrading (the 264 series). With these lessons in mind, Commodore engineers produced a computer that would be their crowning achievement. A computer that is both hardware and software compatible with the immensely popular Commodore 64. A computer capable of running hundreds of popular CP/M business titles using a built in Z-80 processor. A computer that is a true upgrade over its predecessors, sporting 128k of memory, RGBI monitor compatibility for sharp video output, a keyboard to rival that of their business computers, and a significant upgrade to their built-in BASIC interpreter and operating system. That computer? 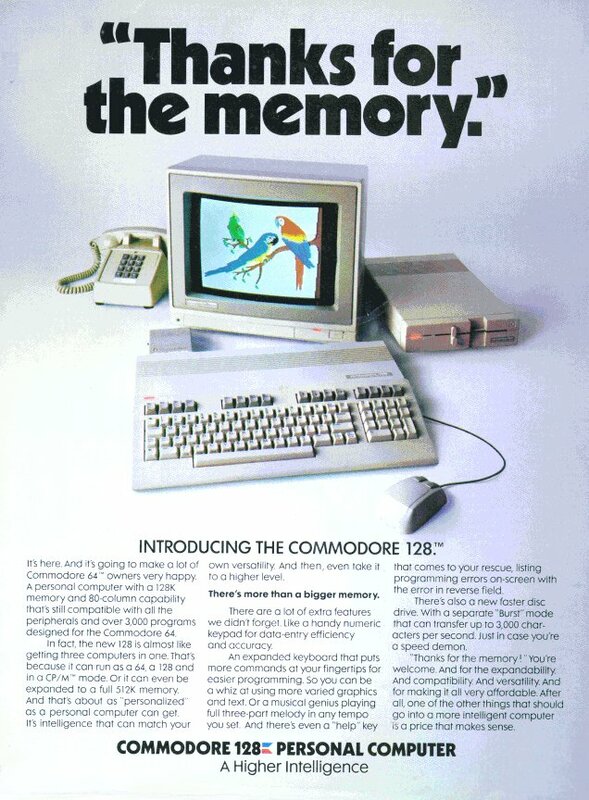 The Commodore 128! 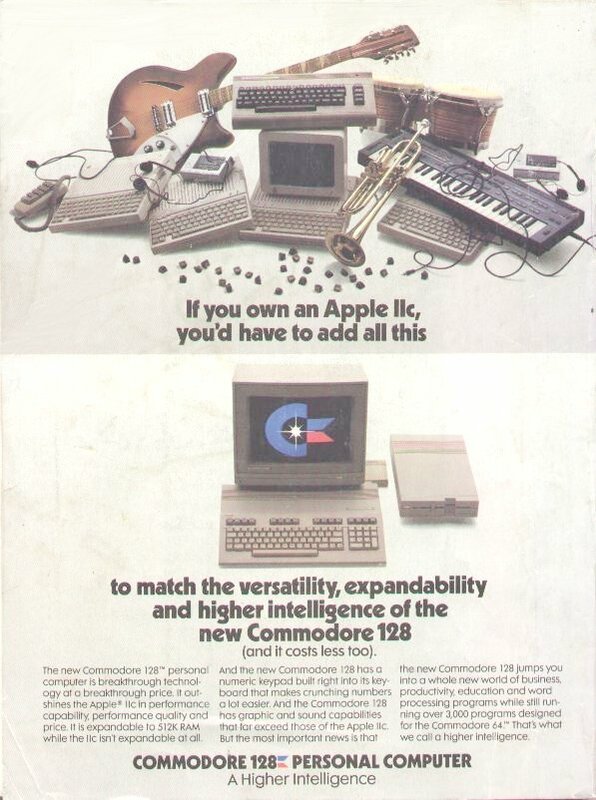 Just as their advertisements repeated, the Commodore 128 is really three computers in one! 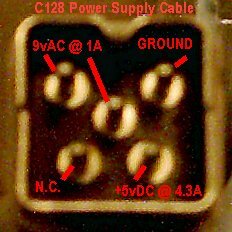 When initially turned on, the computer comes up in its native "Commodore 128 mode". In this mode, the sharp RGBI video output, 128k of memory, 2mhz 8502 processor, advanced BASIC 7.0, machine language monitor, and access to dozens of extra keyboard keys all become available. Commodore also took advantage of this opportunity to correct some of the hardware limitations of the VIC-20 and C64 to make the Commodore 128s serial port as fast as possible. If the computer is turned on while a CP/M operating system boot disk is in a disk drive, however, the computer will switch to its 1-4mhz Z-80 processor and run as an established business computer in "CP/M mode". In this mode, titles such as WordStar, Turbo Pascal, and other business software can be run on a Commodore home computer. If the computer is turned on with a particular key held down, the computer will use the 6510 emulation mode of the 8502 processor to boot to "Commodore 64" mode. In this mode, the computer is indistinguishable in either hardware or software, from that popular computer. With very few exceptions, all the thousands of games and other programs written for the Commodore 64 can be run without modification. 1 or 2 Mhz clock speed with 8502. Personal Note: The Commodore 128 holds a very special place in my heart. I remember drooling over the pictures and articles about this machine when I was 15 years old. When this computer came out, I did everything in my power to possess one immediately.